Reacting to recently increased questioning whether the Republika Srpska, Dodik said on Tuesday that Serbs should no longer pay attention to the enemies of the RS. With this month’s final ruling that confirmed Radovan Karadzic committed war crimes including genocide in order to found and rule in Republika Srpska, his victims raised the question whether it is fair for him to sit in jail while his legacy continues to exist. Defending it, the Chairman of Bosnia’s tripartite Presidency, said that Serbs should ignore such ideas and respond to them by contributing to the development of the entity. “Republika Srpska exclusively depends on us, our will and ability to build it up as economically and institutionally strong, and those who don’t like it, they will stay trapped in their hatred,” said Dodik. “The fact that Republika Srpska exists, an improving Republika Srpska, where highways, hospitals, factories are being built and people are getting employed, is the best response to their hatred,” he added. 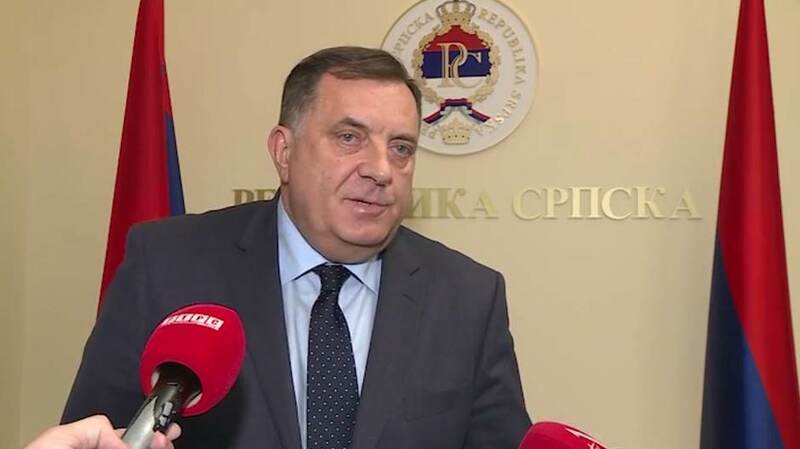 Republika Srpska is the result of the will of the Serb people and nobody should go against it, Dodik said, adding that “Republika Srpska cannot and must not be abolished” and that he does not care what Bosniaks or anyone else thinks about that. Bosniaks are obstructing the legitimate right of elected Serbs to represent Serb national interests in joint institutions, he said, referring to the support Serb officials from the opposition have from Bosniaks. “Our policy is clear and it is the strongest within Bosnia and Herzegovina, and Bosniaks don’t like that. What they are doing now is seeking ways to weaken us,” he said, saying that if the will of the Serbs which they expressed at the last election is not respected, then Serbs should not not view the joint institutions as legitimate. Currently, ministers from opposition parties in Republika Srpska are representing the RS in the central government. According to Dodik, they never had the right to hold those posts and particularly not after the October 2018 election. Dodik again emphasised that he enjoys the support of the president of Serbia, Aleksandar Vucic, saying that the relations he and Vucic developed make Serbs in Bosnia perceive Serbia as their own country.